Golconde, the Ashram’s impressive residential dormitory for sadhaks and guests, has become a familiar landmark to Pondicherry visitors. But when it was designed by Antonin Raymond and George Nakashima in 1935 and constructed between 1936 and 1942, it was a highly unusual undertaking in several ways. 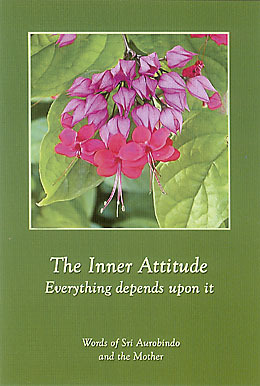 St. Hilaire [Pavitra, who knew Raymond from his days in Tokyo] had been writing to me about the project for some time. 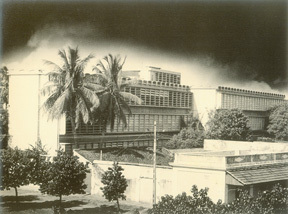 He sent me photographs of the Pondicherry architecture, eighteenth century French colonial, with high-ceilinged dark rooms behind colonnades and roofed terraces. These I had criticized as unsuitable in this day and age of advanced techniques and an absence of formal elegance. 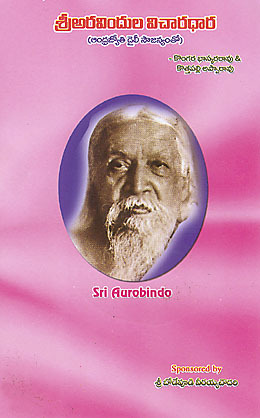 This point of view and an unexplainable confidence in me from Sri Aurobindo brought about his request for my photograph upon the receipt of which he apparently formed a judgment of my character and sent me a considerable sum of money for expenses to cover the transportation of my wife, son and myself to India. Not only was the life in this Indian monastery the revelation of another way of life, but the conditions under which the work of the building was done were so remarkable when compared to those we had known in this materially bewildered world, that we lived as in a dream. No time, no money, were stipulated in the contract. There was no contract. Here indeed was an ideal state of existence in which the purpose of all activity was clearly a spiritual one. The purpose, as a matter of fact, of the dormitory was not primarily the housing of the disciples—it was creating an activity, the materialization of an idea, by which the disciples might learn, might experience, might develop, through contact with the erection of a fine building. 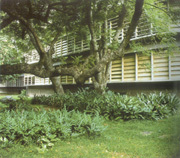 The book not only looks at the technical success of Golconde as an example of early architectural modernism but evokes also the spiritual meaning behind the building. 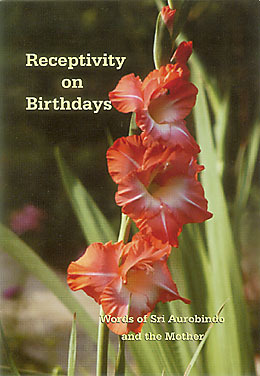 Sri Aurobindo once remarked that the Mother worked out her own ideas through the architects, using the construction of Golconde to demonstrate her belief that beauty is a part of spiritual life; that physical things have the Divine Consciousness at their base as much as living things; and that being so, they have their own consciousness and individuality, should be handled properly, and always used in the right way. This book presents an updated look at Golconde, whose architecture exemplifies a conscious harmony with its surroundings, embodying beauty and graceful living, and provides an outer environment that reflects and supports the inner life of its residents. Raymond arranged for the planting of the south and north gardens of Golconde to increase the cool currents of air in summer. The south garden was planted with many trees and shrubs, whereas the north garden was very sparsely landscaped. The hot air over the north side rises up and draws in the air from the cooler and shaded south side through the open concrete louvers. Soon the four men climbed down the rope-ladder into the waiting boat, where Aurobindo’s four-levered steel trunk, with the smaller paraphernalia, had been lowered by the steamer’s cabin crew. 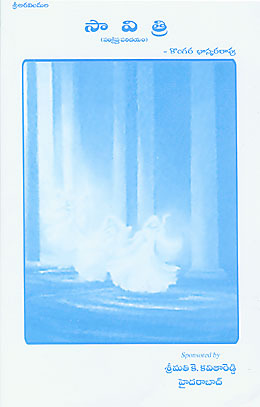 Calve Shankara Chettiar and the poet Bharati met them as the boat reached the pier. 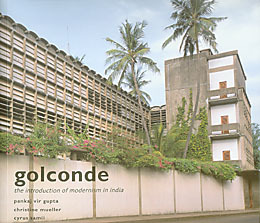 Using a combination of historical narrative, early and recent photographs, architectural plans, and extracts from letters and diaries of those involved in the work, this book gives a history of the design and construction of Golconde, a dormitory for residents of the Sri Aurobindo Ashram, and the first structure in India to use reinforced concrete throughout. 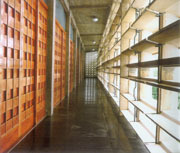 The authors, a team of three contemporary architects, lay emphasis on its technologically innovative design, the precise craftsmanship in every detail, and the spirit of modernism with which the original architects conceived and carried out their design while addressing the harshness of the local climate, the scarcity of building materials, and a labour force untrained in modern construction methods. This historical novel takes place in pre-independent India, at a time when efforts were being organised to throw off British rule. 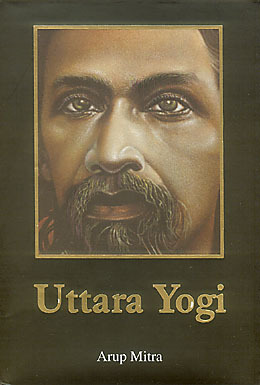 Through the narrative of the fictional character Harimohan Datta, who meets and befriends Sri Aurobindo, the author recounts the story of Sri Aurobindo’s life and his rise to prominence as a leader of the nationalist movement. 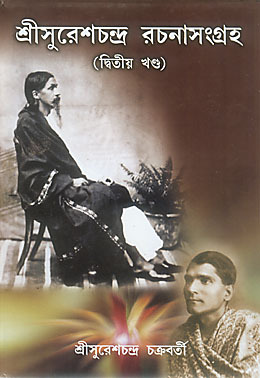 Interwoven with the well-known events and historical personalities of the day are varied characters who become involved in the adventures, betrayals, and tales of patriotism that move the story to its conclusion, the arrival of Sri Aurobindo in Pondicherry on 4 April 1910. 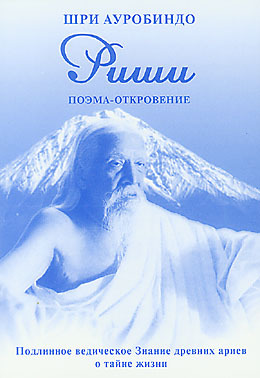 The Rishi is one of the most powerful poetical works of Sri Aurobindo. 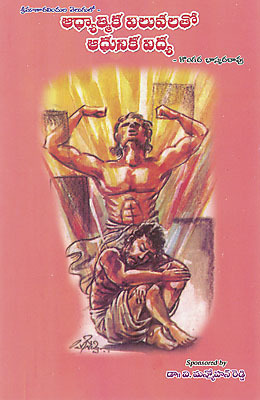 Composed in the form of a dialogue between the legendary Aryan king Manu and the Rishi of the Northern Pole, this revelatory poem gives a comprehensive view of ancient Vedic knowledge and the true Aryan spirituality, integral in its vision of both transcending life and embracing it. 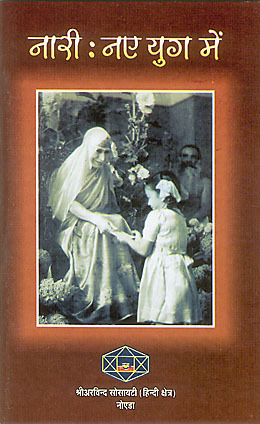 The book is bilingual, with extensive commentaries by the translator, including many quotations from other works of Sri Aurobindo.